Thank you for taking part in this professional development programme for improving boys’ literacy in Key Stage 2. Here you can find all the relevant documents from the course that you can use to support your work in school. There is nothing you need to prepare before Day 1, however please take a quick look at our membership resources on boys and literacy. These resources will help guide you throughout the training. Give some thought to the sort of pupil group you would like to focus on. If you aren't sure yet, don't worry: guidance and advice will be given on Day 1. By the end of Day 1 you will have improved your understanding of national, local and school-based issues affecting boys’ literacy and the benefits of a joint practice development approach, and hopefully will have thought about some strategies for improvement to test in your school. Also, please ensure that the people attending Day 2 will be those carrying out the project. At the end of the project, you should complete a short presentation on the findings. This can be in whatever format you like, but we have put together some guidelines to help get you started, downloadable here. Remember - we are here to help! 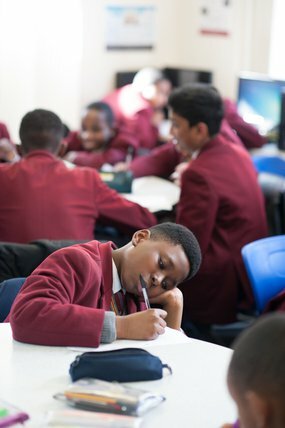 If you have any questions on any of the above or require any guidance during your project please email schools@literacytrust.org.uk or call us on 020 7587 3067.